Inspired By… The Bible Experience is the most ambitious undertaking in recent recording history. The Bible is brought to life by a collection of distinguished artists and personalities (Denzel Washington, Angela Bassett, Cuba Gooding Jr. and many more…), in a complete and fully dramatized audio recording of the New Testament. The 368 character portrayals (cast list) are further accentuated by a compelling and inspirational musical soundtrack. This amazing and anointed audio production presents the world with the unique opportunity to be Inspired By… The Bible Experience. It also features movie-quality sound effects and background music. This fully dramatized version of the TNIV New Testament was developed by entertainment veterans, and is a ground-breaking undertaking. The phenomenal quality draws you into Scripture and makes the Bible come alive in a new way you have never experienced before. Hear the words of the Bible brought to life like never before. 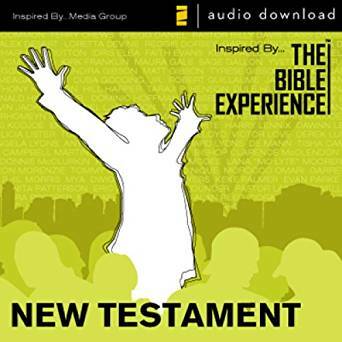 Inspired By… The Bible Experience: New Testament MP3 Audio download includes a fully dramatized reading of the complete New Testament performed by an unprecedented ensemble of distinguished all-star actors, musicians, and personalities. and many others, lent their talents to create The Bible Experience, a one-of-a-kind dramatized audio recording of the Bible, complete with an outstanding original musical underscore.